More than sixty ISKCON youth and twelve youth leaders participated in a project that included four inspiring youth exchanges during 2017 and 2018. Two years ago, six devotees from different organizations started to organize youth exchanges at several communities in Europe. 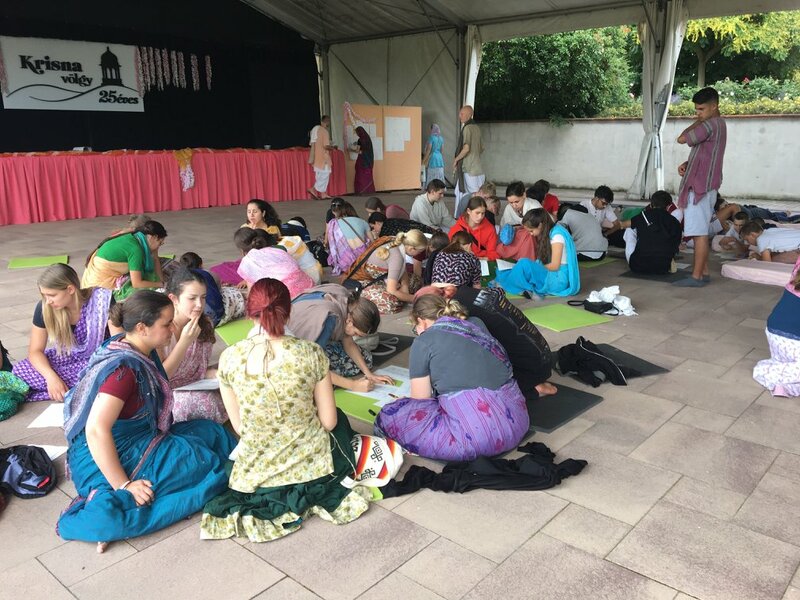 They saw a need for ISKCON’s youth to get together, develop deep friendships, integrate young people into their local and larger communities, and develop a cultural and philosophical understanding of their culture. The title of the project was ‘Youth for Sustainability’ and it brought together youngsters from Hungary, Latvia, Slovenia, Spain and Sweden. 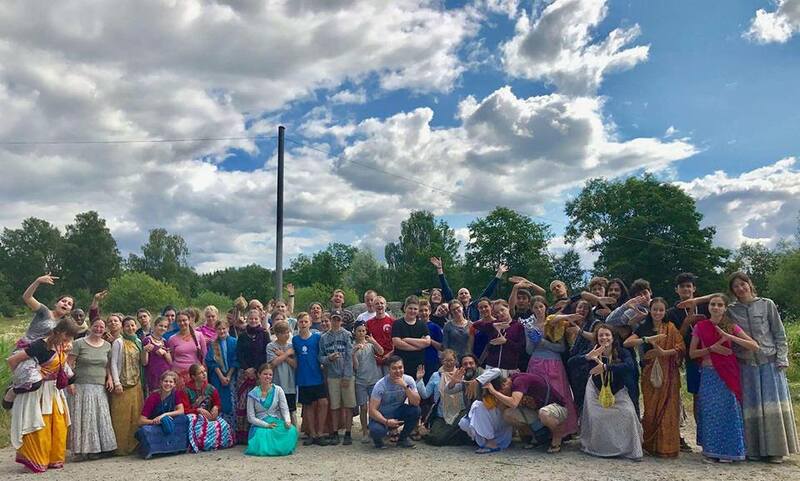 They met at Almviks Gard in Sweden in July 2017, at Krishna Valley in Hungary in June 2018, at New Vraja Mandala in Spain in August 2018, and at the ISKCON community in Ljubljana, Slovenia in December 2018. Each youth exchange lasted for five to seven days. 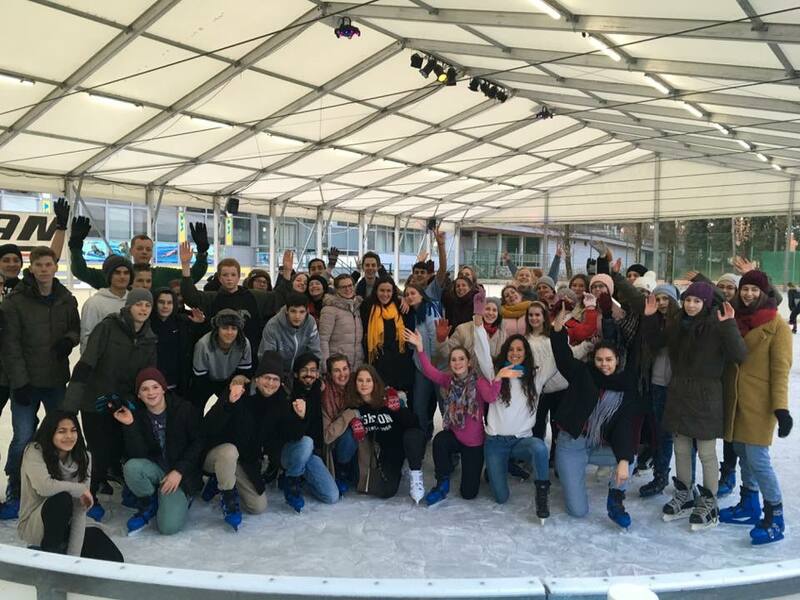 These exchanges were entirely funded by the European Commission through the National Agency in Sweden and covered travelling, accommodation and food costs for the participants. During these four youth exchanges The Four Pillars of Sustainability were explored, i.e. the environmental pillar (e.g. organic farming, cow protection, water management), the economic pillar (e.g. 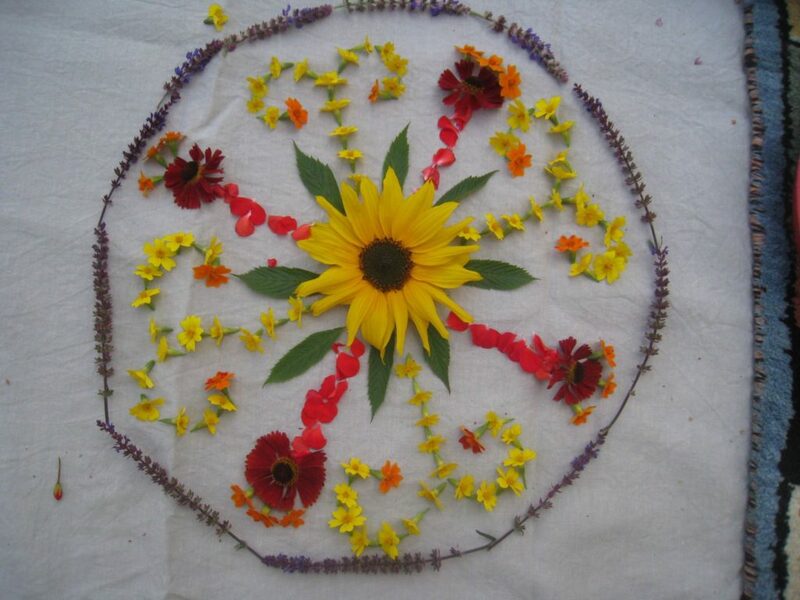 making a living with green jobs, finding out about one’s skills and interests), the social pillar (e.g. making friendships, teamwork, cooperation) and the cultural pillar (e.g. cultural tours, Festival of Chariot, etc.). The youngsters were encouraged to organize and hold different workshops on their own such as dance, musical instruments, martial arts, archery, arts, Mehndi painting, juggling, football, volleyball, swimming and more. They had cultural evenings with music and dance as well as public chanting in the cities. They also helped to organize sightseeing tours in Stockholm, Budapest, Madrid and Ljubljana. Furthermore, they were engaged in different services in the kitchen, served food, prepared accommodation facilities, and did several other services. “It was wonderful to see how young people developed friendships during these four exchanges, how their natural loving exchange was nourished and how their faith was deepened and matured,” says Katja Sardella from Sweden, the main coordinator of the project. The organizers have already started planning further youth exchanges for the years 2019 and 2020, and they are looking forward to have even more youngsters from other European countries to join such events.